For a customer in the USA, BV Beco has manufactured a mechanical two-rope round nose grab. The grab has a capacity of 5,000 litres, weighs 13.8 tonnes and exchangeable teeth; it will be used for dredging and digging purposes. The round nose grab has been made of high tensile steel 690 and wear-resistant material, hardness HB400 and S355. Beco is a company with a broad assortment of products and services. The company has a high- quality manufacturing plant in Vianen. 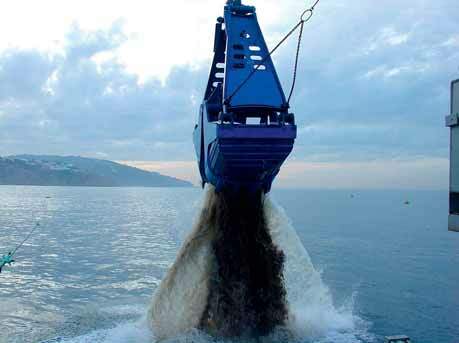 Beco is an experienced supplier of equipment for national and international material handling for bulk cargo, dredging and earth- moving activities. For more than 80 years Beco has been providing high-end, ready-to-use technological solutions. It manufactures solid, uncompromising products. Beco offers sturdy solutions to taxing technical challenges, showing the customer an effective way forward. The company provides tailor-made solutions for every situation — custom work in every imaginable format and finish. Other Beco Group products include tippers, attachments, fronts and trailers.